The TV-show Friends is a long-time favorite of mine. I have seen all seasons at least 10-15 times. 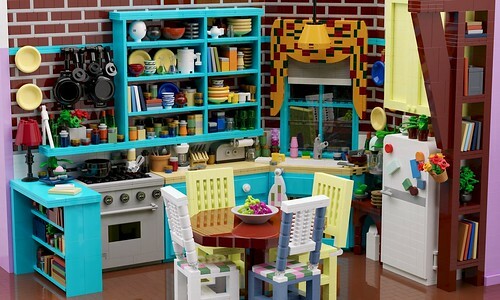 This is a Lego build of Monica's kitchen. About 6000 bricks. 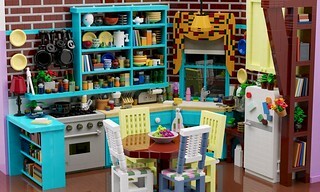 Computer rendering but buildable if you have the bricks.